As the most successful stone crusher manufacturer in China, We SBM Machinrey can supply the popular jaw crusher, cone crusher, impact crusher as marble crusher in different crushing stages. SBM supplies the equipment and support that you need to build and sustain your marble crushing plant in the most profitable and viable ways that you require. The standard stationary crushing plant includes jaw crusher, cone crusher, belt conveyor, vibrating feeder and screening machine. According the requirement of fineness, choose the right crushing machine to unite the complete crushing plant. SBM offers a wide range of medium mobile crushing, screening solutions for quarrying, recycling, contracting and mining applications. Our mobile units meet high demands for mobility both on site and on the road. Available on crawlers, they are compact, very stable and of low weight. Since the different units are compatible with each other, it is easy to combine two, three or more units, depending on the fractions required. 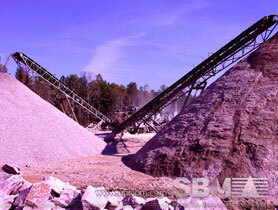 SBM marble crusher includes jaw crusher, cone crusher, impact crusher and mobile crusher. These crushers are used for crushing marble stones into small particle size for construction building materials. SBM has set up the marble crushing plant for quarrying in Spain, France, Germany Malaysia, China, India, Pakistan, Iran, Nigeria, South Africa, Ethiopia. "SBM not only supplies the crushing machine, but also the service of design, installation and maintenance."